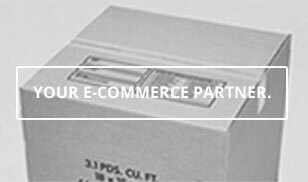 The Packaging Company is committed to ensuring that your privacy is protected. Should we ask you to provide certain information by which you can be identified when using this website, then you can be assured that it will only be used in accordance with this privacy statement. The Packaging Company may change this policy from time to time by updating this page. Please check this page from time to time to ensure that you are satisfied with any changes. For the exhaustive list of cookies we collect, please scroll down to the bottom of this page to our List Of Cookies We Collect section. 2. Improving our products and services. 3. Periodically sending promotional emails about new products, special offers or other information we think you may find interesting, using the email address you provided. 4. Occasionally contacting you (email, phone or mail) for market research purposes. The information may also be used to customise the website according to your interests. We use traffic log cookies to identify which pages are being used. This helps us analyse data about web page traffic and improve our website in order to tailor it to customer needs. We only use this information for statistical analysis purposes before removing the data from the system. We will not sell, distribute or lease your personal information to third parties unless we have your permission or are required by law to do so. We may use your personal information to send you promotional information about third parties which we think you may find interesting, only if you have given your consent for this to happen. You may request details of personal information which we hold about you under the Data Protection Act 1998. A small fee will be payable. If you would like a copy of the information held on you please send an email to customerservice@thepackagingcompany.com to obtain further information. If you believe that any information we are holding on you is incorrect or incomplete, please contact us as soon as possible, and we will promptly correct any information found to be incorrect.